“Heaven on Earth” – Clare Walks Ltd.
16 eager walkers put on their hiking boots last Saturday, 21st April, to ‘Battle Ballycuggaran’ – a 6km looped walk along part of the East Clare Way. This guided walk was organised to highlight and promote the activities available on/near the Lough Derg Blueway. 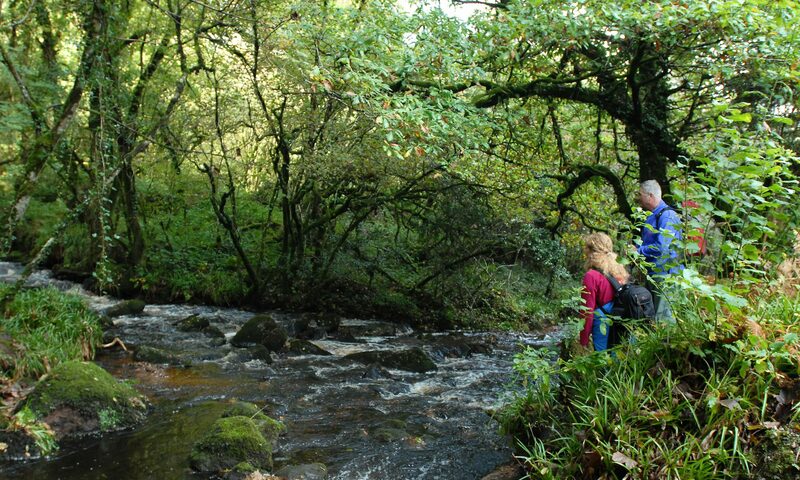 The Blueways in Ireland are a set of multi activity trails and sites which are closely linked with the water. The Lough Derg Blueway encompasses a series of Blueway paddling trails with many complimentary walking and cycling trails. The Ballycuggaran Looped Walk starts at Two-Mile-Gate, just outside Killaloe. The walk follows forest road, forest track and minor road through dense forest and open hillside on the shoulders of Feenlea Mountain and Crag. The beautiful expanse of Lough Derg lies below you. It would not have been possible to have better weather for this walk. The sun shone down, there was hardly a cloud in the sky and the views were spectacular. It was such an enjoyable walk that I think we will have to organise another guided walk at some stage during the Summer months, so watch this space! However, if you would like to try this walk yourself, here is a link to a map of the walk.